Rolls-Royce CEO Purves, who is retiring, started his career as an engineer. MUNICH -- BMW sales and marketing veteran Torsten Mueller will be the new head of Rolls-Royce, replacing current CEO Tom Purves who retires at the end of March. 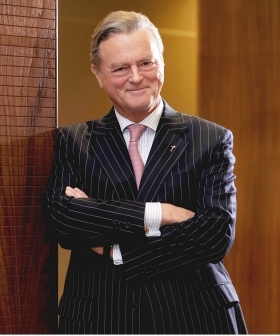 Purves, 61, has been Rolls-Royce CEO since July 2008 when he succeeded Ian Robertson, who is now Rolls-Royce chairman and BMW management board member responsible for group sales and marketing. Purves' previous posts included more than nine years as president of BMW North America. He began his automotive industry career in 1966 as an engineer at the former Rolls-Royce headquarters in Crewe, England, before joining the BMW Group in 1985. Mueller, 49, successfully re-launched the Mini brand between 2000 and 2003, re-establishing the BMW-owned British marque as a global premium small-car brand. He has been with BMW's marketing and sales division for more than 20 years. In 2004, Mueller assumed responsibility for central group marketing and brand management at BMW. 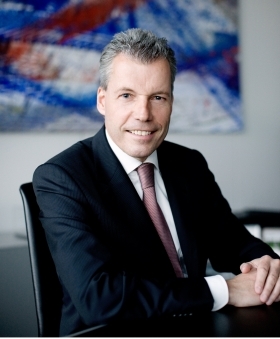 He has been running BMW's global product management since April 2008 as well as parts of its aftersales business. Mueller will continue to report to Robertson, who said Mueller's many years of experience in brand and product management as well as marketing made him the “perfect candidate” to lead Rolls-Royce into a period of expansion. In December, the ultraluxury brand launched the new Ghost sedan, which is smaller than its Phantom core model line. The company has said that, with the introduction of the Ghost, it hopes to sell 3,000 cars worldwide in 2010. The brand sold 1002 cars in 2009, down 17.3 percent compared with 2008. Hildegard Wortmann, 43, will take over Mueller's in the central product management and aftersales functions.